Metal represents our mental activity such as intellect and the ability to reason, memory, thoughts, knowledge and comprehension. It also rules new beginnings, friendship, clarity, and positive expression. This powerful necklace contains: Chariote which is used for working on etheric levels to direct energy to a higher level. Dumortierite encourages calmness when others are chaotic. 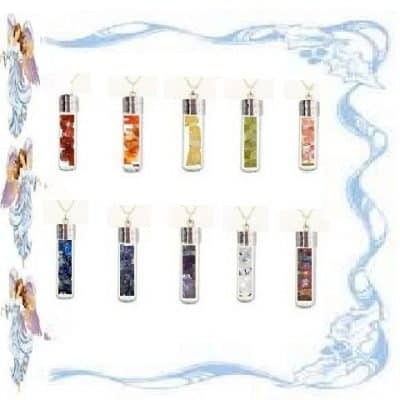 It assists you in expressing your true self and creative expression. Lapis Lazuli (with metalic pyrite) enhances awareness, promoting will power and encourages kindness and helpfulness. 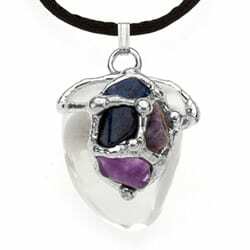 Amethyst has divine spiritual energy inspiring love. This can relate to the Law of Polarity. Metal represents our mental activity such as intellect and the ability to reason, memory, thoughts, knowledge and comprehension. It also rules new beginnings, friendship, clarity, and positive expression. 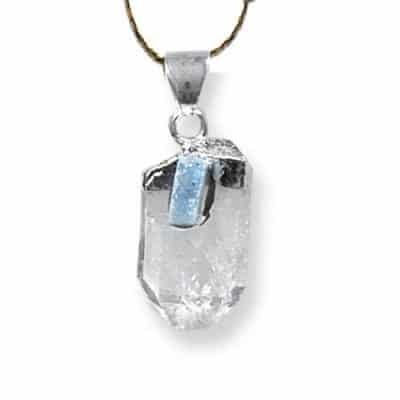 This powerful necklace contains: White Quartz magnetizes all energies to it, assimilating what we need. Chariote which is used for working on etheric levels to direct energy to a higher level. 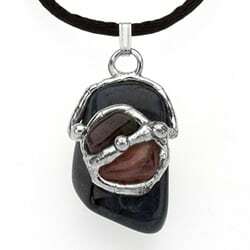 Dumortierite encourages calmness when others are chaotic. 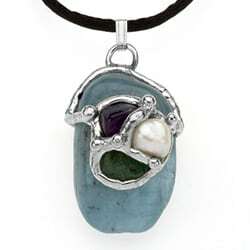 It assists you in expressing your true self and creative expression. Lapis Lazuli (with metalic pyrite) enhances awareness, promoting will power and encourages kindness and helpfulness. Amethyst has divine spiritual energy inspiring love. This can relate to the Law of Polarity.